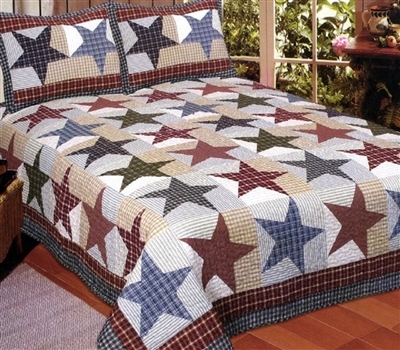 Bed Sweet Buys: Do Bedroom Colors Affect Sleep? Everyone has a favorite color. And everyone chooses colors for décor and accessories for the home based on their own color preference. Color styles influence the decision as well. The bedroom is a place where color choices can make a difference in whether or not you are able to sleep readily or if you are restless before sleep. May I suggest that the colors you choose for your bedroom can make a difference in how readily you fall asleep. Take a color like red for instance. Red subconsciously stimulates excitement. 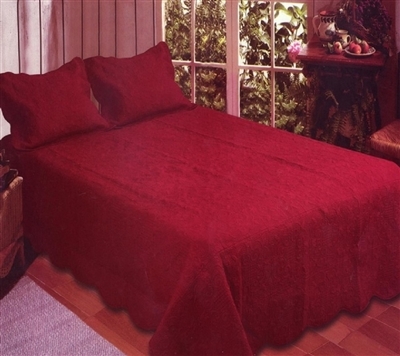 So if you choose a color like red, you may want to use it as an accent color rather than a dominant color, meaning as a vase, or flower arrangement or wall hangings or colors used in the pattern on your bed covering, such as this Nicholas Bedding Set Quilt. Using a solid red color as in the Cotton Quilt Set Brick Red will be a stunning piece for your bed and you can really get away with it as a part of your bedroom décor to encourage sleep if you lower the lights at bedtime. That's always a good practice to incorporate in preparing for sleep anyway. The best color for relaxation is green. 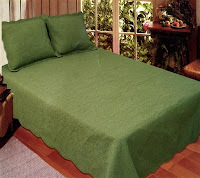 Green has a calming effect on a person. You can use the Sage Green Cotton Quilt Set for a solid color on your bed. Or you can paint your walls a solid green or use a pattern in faux painting blending with other colors like taupe, beige or cream colors and maybe a little metallic mix or you can put up wallpaper with a subtle pattern in green. Whatever decor style you choose for your room will influence your choice of wall colors and patterns.